Haunted Hats: $24.99 - plus $3.50 shipping and handling. Haunted Headbands: $14.99 - plus $3.50 shipping and handling. Jeff's mom is crafty! 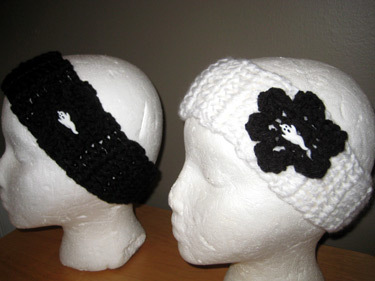 These "Haunted Hats" and "Haunted Headbands" are hand crocheted by mom, the black flower features a ghostly button that makes the look perfect for you ghost-hunting ladies looking to keep warm and cute. One size fits all (except really tiny heads). 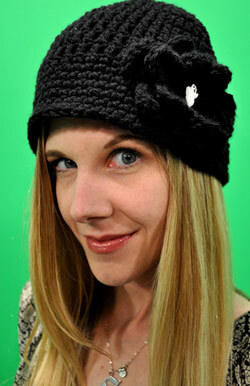 The hat is made from 100% acrylic yarn that is machine washable and dryable. Doesn't Sarah from 30 Odd Minutes look awesome in her Haunted Hat?